Loyal readers (so, probably only my mother) I owe you an apology. Why? Because I have failed, quite comprehensively, to do anything out of the ordinary this Chinese New Year (春节 — Chūn Jié), much to my chagrin. I’ve been a boring Hong Kong tourist. It wasn’t for lack of trying though. Promise. We’d planned to get out of Hong Kong for the Year of the Fire Rooster 火鸡. 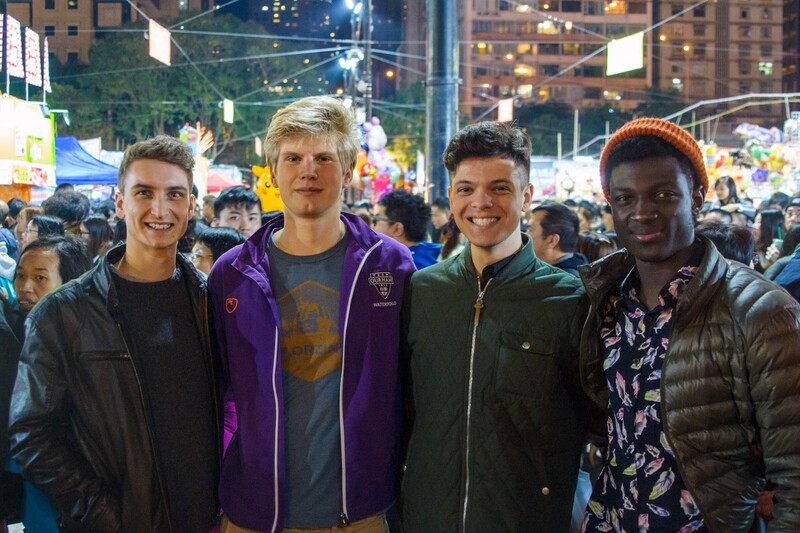 The romantic pull of Taiwan’s festival of light or the sheer scale of Beijing and Shanghai’s celebrations called to our inquisitive little exchange student souls. I thought a three-day trip somewhere fun would make for a killer blog post, too. Reality had other ideas though: this is the time of year responsible for the single largest migration of humans in the world, so market forces meant that airfares were extortionately expensive. 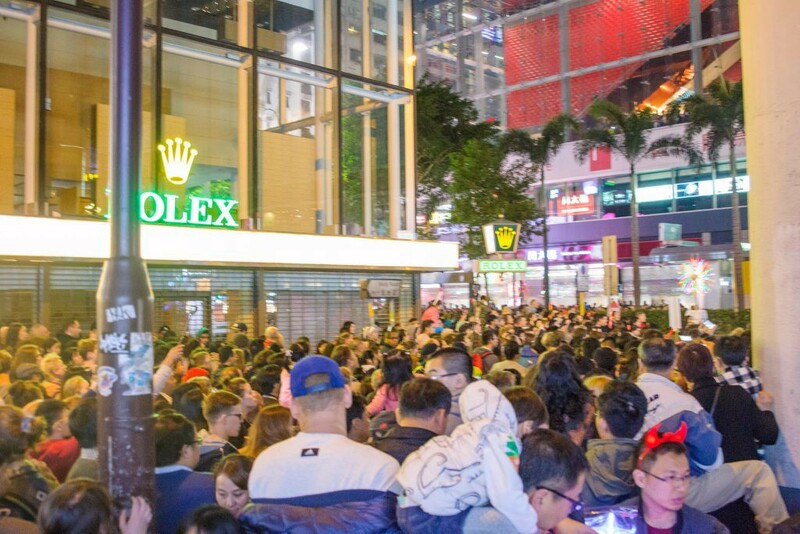 Consequently, we settled for a local experience in Hong Kong, holding out hope for the weather to reward us with stunning views of the fireworks over the bay. Nature was not cooperative to this endeavour either though, sadly. 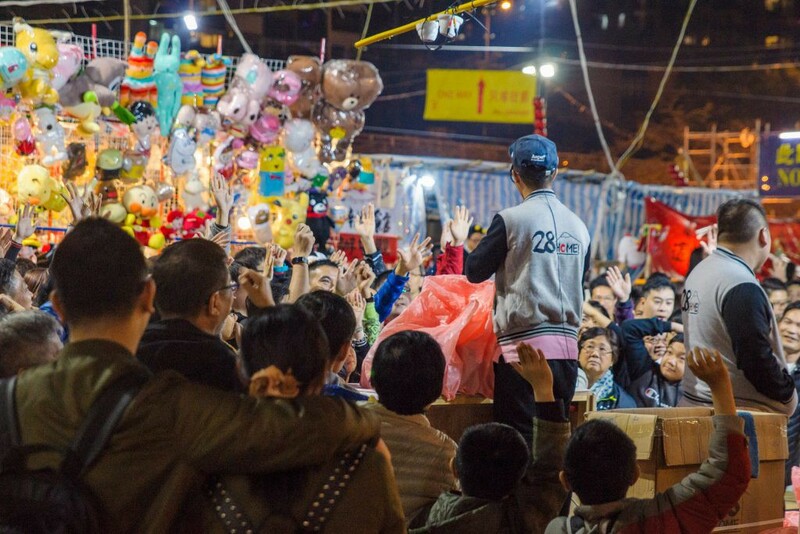 In the run-up to fireworks, and following it, there are various religious/superstitious rituals and ceremonies mostly enjoyed by families and locals. 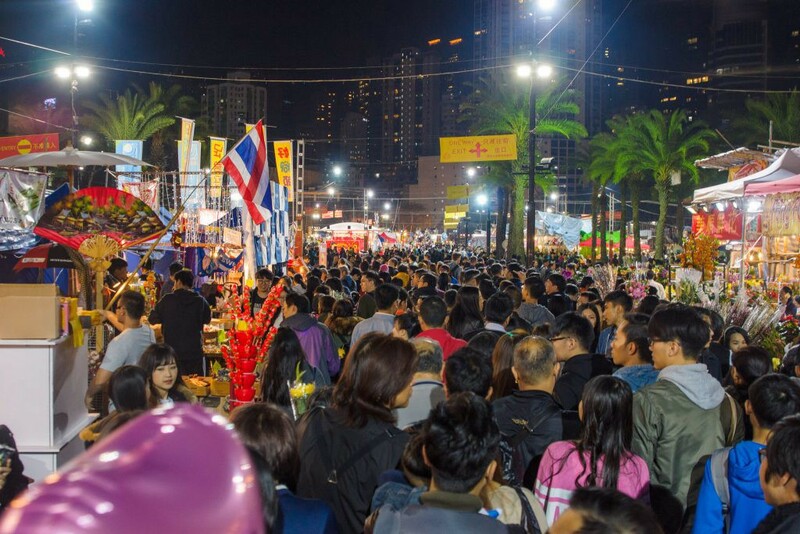 For us gweilos though, those traditions boiled down to three things: the huge flower market, the night parade (with floats and all!) and ‘red pockets’. 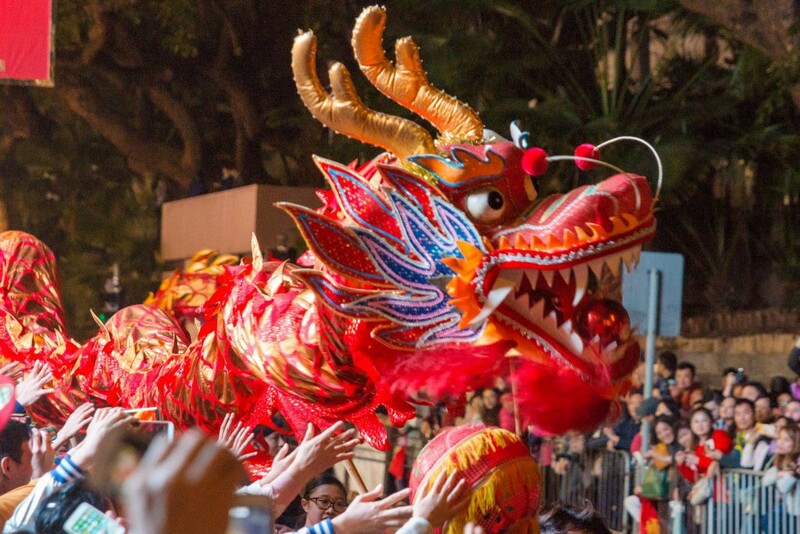 So, in short, I’ll belatedly wish you 新年快乐 (xīn nián kuài lè — Happy Chinese New Year) and hope that 过年好 (Guònián hǎo — New Year passes you well)! 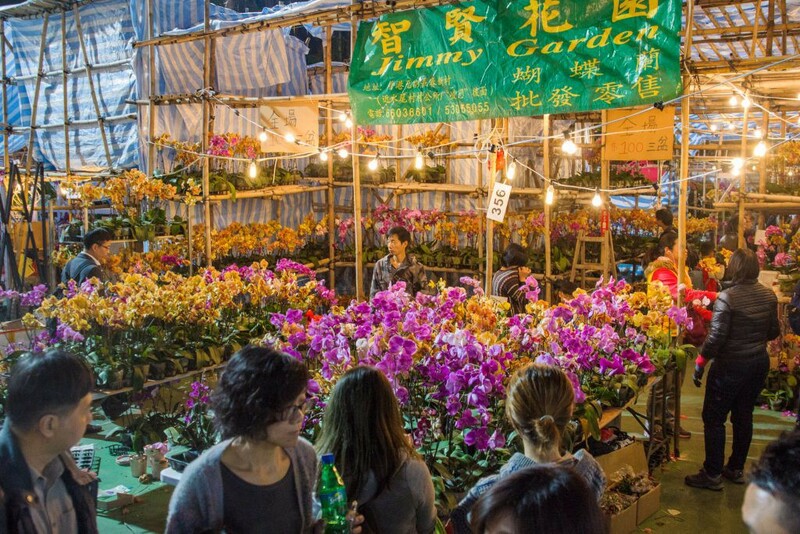 The Night Flower Market occupied the same spot in Victoria Park, near the Causeway Bay MTR stop, that the Mid-Autumn Festival did last semester. It was even busier than last time, leaving you unable to carve a path for yourself, instead forced to surrender, carried along by the general will of the crowd. All sorts of plush toys, gadgets and homeware items were flogged and bargained for, alongside some gorgeous flowers and a generous selection of edible delicacies. Snacking as you’re buffeted along is your best bet for food as restaurants were jam packed with people out to enjoy the festivities. 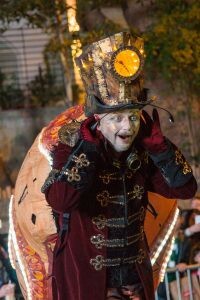 This gentleman’s steampunk snail costume was a personal highlight! 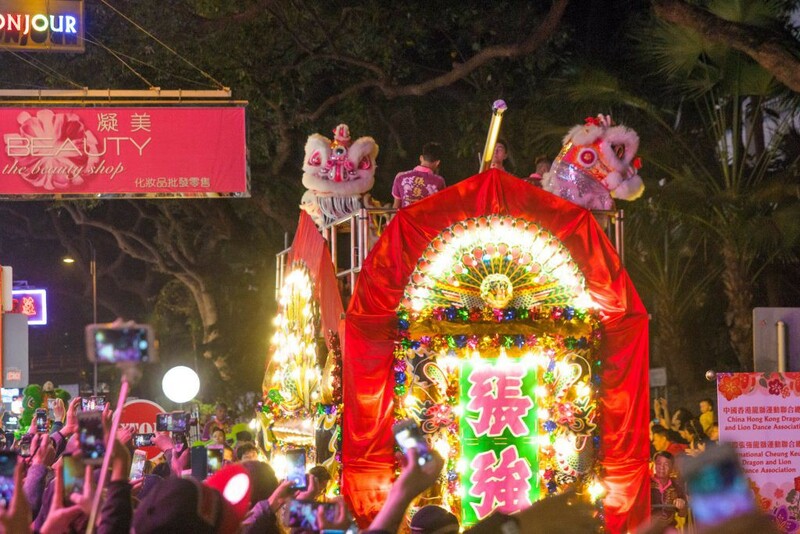 According to the tourism board, over 150,000 people came to watch the parade and around 3,000 performers walked the streets to entertain them. It was an eclectic mix of gymnasts, dancers, employees of big multi-nationals and even some cheerleaders (which reminded me how much I miss stunting back home in Durham)! 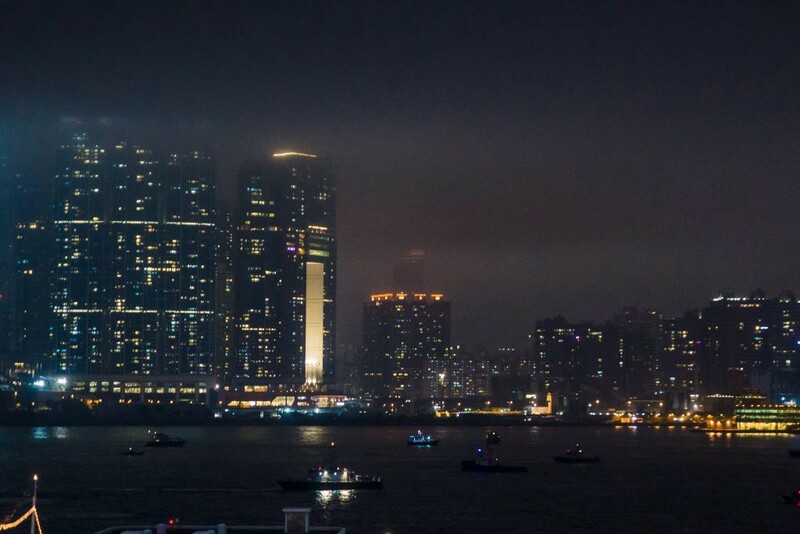 If there was one thing other than the food and tailored suits I will want to come back to Hong Kong for, it would be seeing the fireworks properly next year. 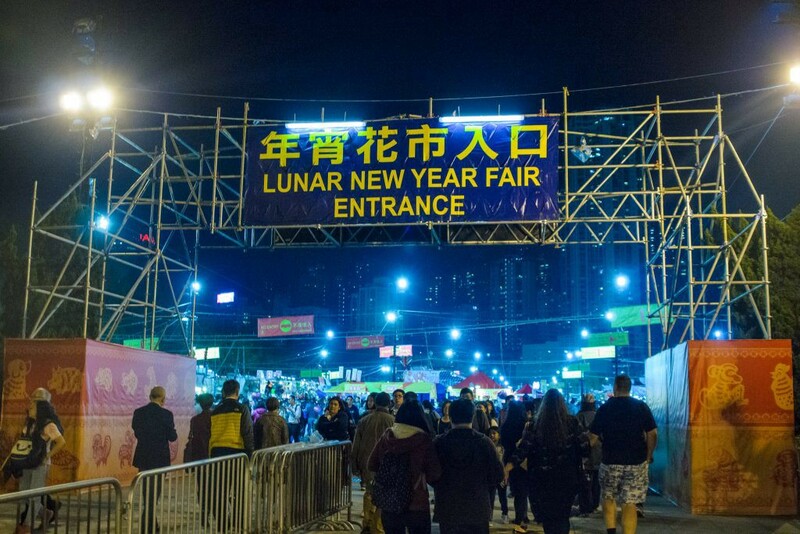 Hong Kong’s fireworks are meant to be a truly breathtaking display and I’m slightly miffed that both displays I’ve tried to see, CNY and PRC Day, haven’t been up to scratch! Despite our bad luck with the weather, the week off was punctuated with some great things to do. 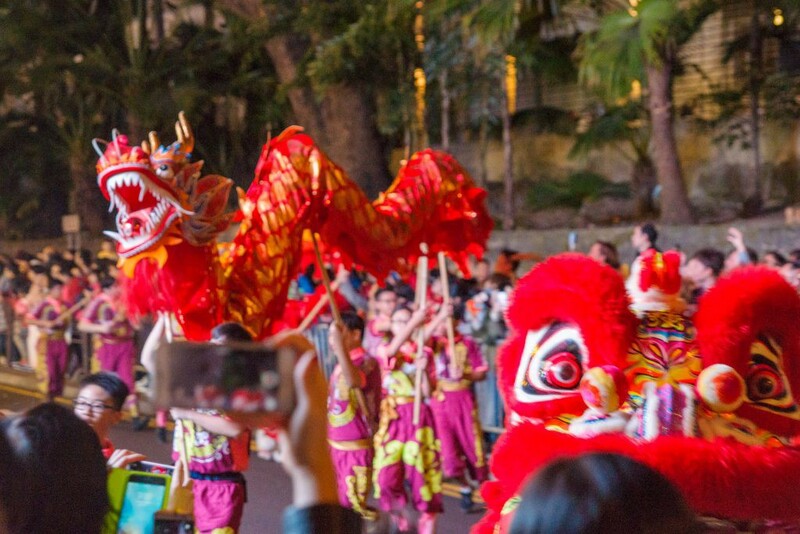 Each night you’re treated to a different slice of Hong Kong’s celebrations, culminating in the huge fireworks. 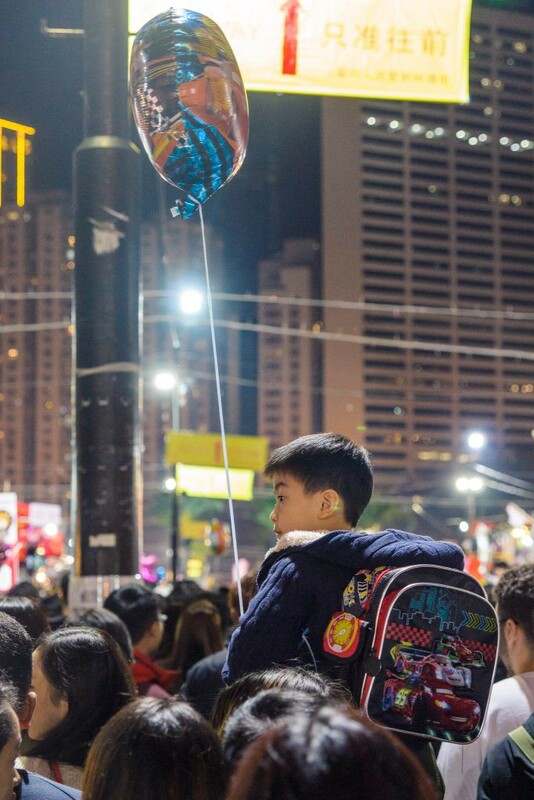 There’s much fun to be found over the preceding and following few days though, with people taking to the streets in unbelievable numbers; the city really comes alive, even with most people spending their time with their families. 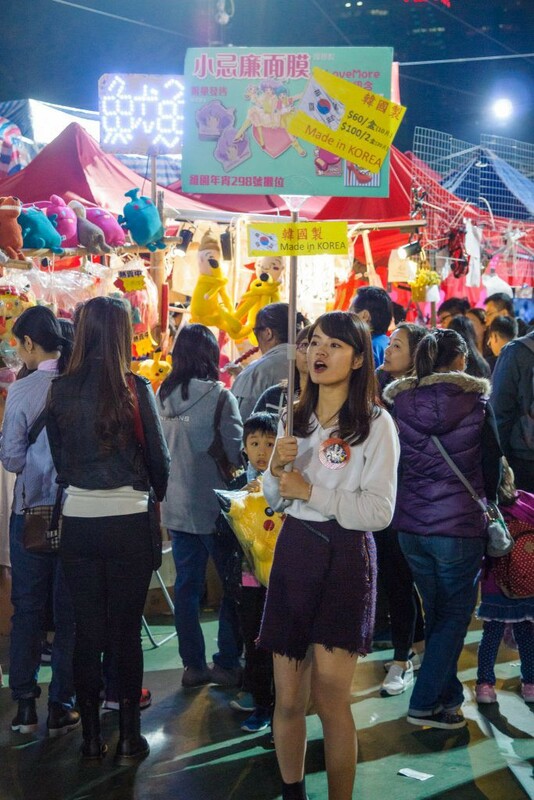 One tradition particularly affects you as a young student at this time though, that of ‘red pockets’ (利是). These gifts of money are presented in beautiful red envelopes that are meant to bring you good fortune and wealth in the year to come. Usually, it’s only married couples or your employer that will give them out, and you won’t get one if you’re married yourself — you should be giving them! Be careful though: if you’re lucky enough to receive one (or more), make sure that you receive it with both hands and, whatever you do, don’t open them in front of the gifting party. It’s rude! Instead, graciously accept by saying “gong hey fat choy!” in Cantonese and open it later in private. Honestly, receiving a few red pockets was one of the most exciting things about Chinese New Year. It really made us feel welcome and was a surprise we weren’t expecting to be part of. 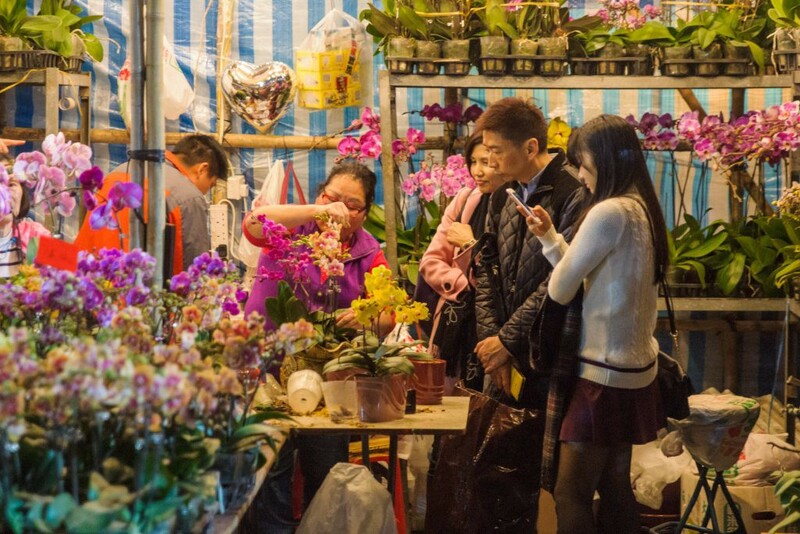 It sounds silly, yet in a capitalist society that is dominated by commerce, it felt like one of the most intimate ways to be welcomed and included into the customs of Hong Kong to be personally given rather than sold something. Next year, back in Durham, I’ll make sure I get a game of mahjong in when Chinese New Year comes around and try to pay forward some of that generosity. Originally published at Charles Harry Smith.